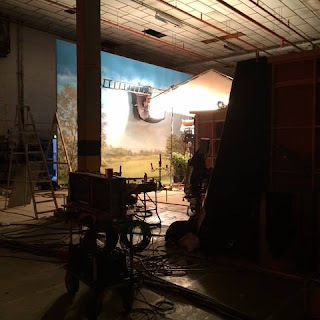 Putting together the information gleaned from the BBC this week it seems that filming on Poldark began at Chavenage House near Tetbury in Wiltshire on 14 April, with Aidan Turner riding by on a horse. 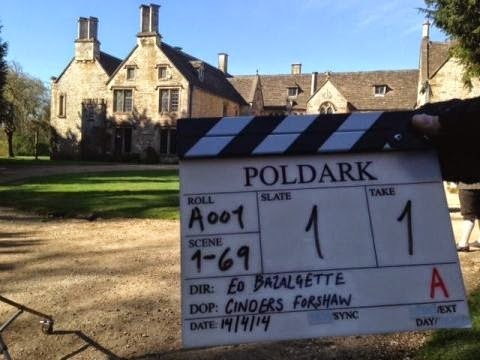 The 16th century cotswold stone house is most likely to be Trenwith the home of Ross's uncle, Charles Poldark, in the new BBC adaptation of Winston Graham's novel. In the original TV drama this honour went to Godolphin House at Helston in Cornwall. Chavenage House is no stranger to film crews having been the location for many productions, but it's probably most familiar to viewers as Candleford Manor in the BBC drama Lark Rise to Candleford. To actor Ruby Bentall who plays Ross's cousin Verity in Poldark it should certainly seem so, as she played Minnie Mude in Lark Rise. Chavenage House was built in 1576 and only two families have owned it since: the Stevens family and the Lowsley-Williams. 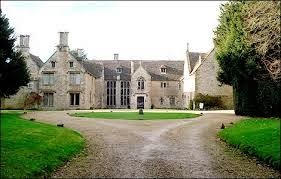 As well as the magnificent house there are stables, cottages, workshops and a chapel in the grounds. In this interesting video the Lowsley-Williams' show us around the house and talk about what it is like to have film crews shooting there. Last year (2013) Chavenage House was open to the public from 1st May to 30 September on Thursdays and Sundays from 2-5 pm and on Easter Sunday and Bank Holiday Mondays.